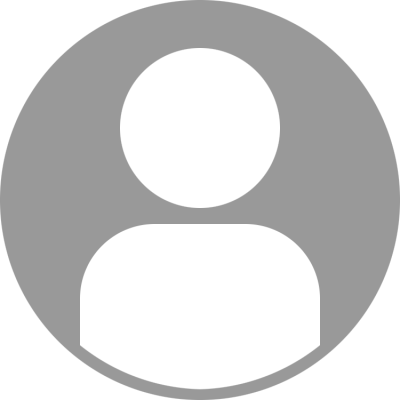 We can RECEIVE as many encouragement emails as you can write. So please please please write to us. To encourage us (or remind us we are mad). Put Wednesday 10 April in your calendar now – that is the 80+km day. 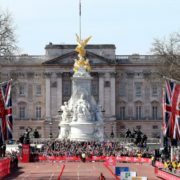 How to do it: go to www.marathondessables.com and then to ‘Ecrire aux Concurrents’ (Write to Competitors) and we are Jan Petzel (race number 550) and Kim Petzel (race number 551), part of UK contingent. This service is available from 9-14 April – please please, whenever you are particularly enjoying some wonderful comfortable aspect of your holiday, share it and gloat. 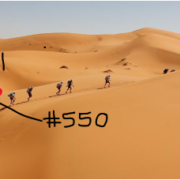 If communication ain’t your thing [but curiosity is…] you can still track us – once again, hop on www.marathondessables.com and find #550 and #551. The link will go live on 7 April. Lastly, giving back. You’ll be surprised to know we ain’t doing this for the tan…. We have wonderfully functioning bodies and legs we can rely on – there are many who aren’t so lucky. Some by birth, some by tragic accident. Life without the use of one’s legs presents challenges and frustrations none of us would even dare to imagine. Through Ella’s school we have come across a wonderful charity – the Walkabout Foundation – that offers funding for spinal cord injury research as well as providing purpose built (and easy to maintain bearing in mind terrain and facilities) wheelchairs. Our fundraising page is here and if you do have a little bit of time, spend it on the website – it is not time wasted! THANK YOU FOR YOUR EMAILS OF ENCOURAGEMENT! BIG HUGS AND KISSES ALL AROUND! Great initiative! hope it went well! Better late than never...…...xox the Ehmer Clan! Well done Kim & Jan! Truly inspirational run!! Well done Kim and Jan !!!!!! What a challenge - hats of to both of you. Well done to both of you. A truly amazing feat!! You're both crazy! (But in the best possible way). Good luck! I can't believe you are doing this! So impressive. Best of luck! It’s a fine line between brave and mad. Bon courage!! Dear both! first of all, I miss you ! Secondly, wow, super impressed, the two of you are super humans! best of luck, will be sending power thoughts from the north side of the wall! Best wishes we'll be hoping you both return safely - we have unfinished business! Good luck Kim and Jan! Can’t wait to hear about your adventures! Go go go Kim and Jan. You have our full support. Very best of luck Kim and Ian! We will be thinking of you. Take care. What a wonderful challenge and deserving cause! Good luck to both of you. Wow! What an amazing joint challenge. We will definitely be cheering you on from a far. Amazing! I wish you an awesome challenge!